Do you want to import PST to Outlook 365 web? Are you looking for a simple solution but all you can get is the lengthy manual method? 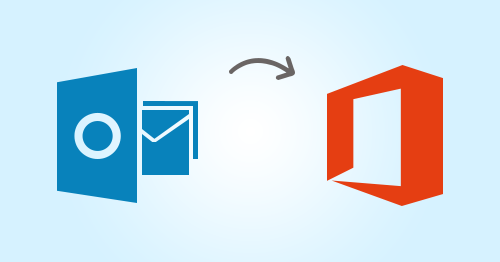 Read this post to know different approaches to migrate PST file into Outlook Web App. Here we will tell you how you can transfer PST file in Office 365 Mail using Export Import Wizard and Office 365 Import Tool. But first, we will see the definition of Outlook 365. How to Import PST to Outlook 365 Web? When it comes to importing PST to Outlook 365 online, there are two different ways available for the users. They can either choose the manual method, or they can go for the convenient solution of using an application for this purpose. If you choose to implement the manual method for transferring PST file items in Outlook 365, you need to have desktop-based Outlook on your system. Then you have to configure the Office 365 account in it. The reason behind this complex process is that the Outlook online or Outlook 365 does not offer any feature to import PST file. Before you decide to choose this method, keep this fact in mind. 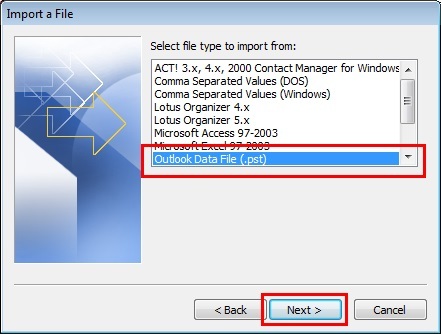 Launch MS Outlook 2016 on the system and click on File>> Add Account. Enter our Office 365 email address and click on Continue. Add the password when prompted and click on OK>> Finish. Office 365 will be configured in your Outlook. Now, you can migrate the PST file in Outlook and it will get imported in Outlook 365 online as well. 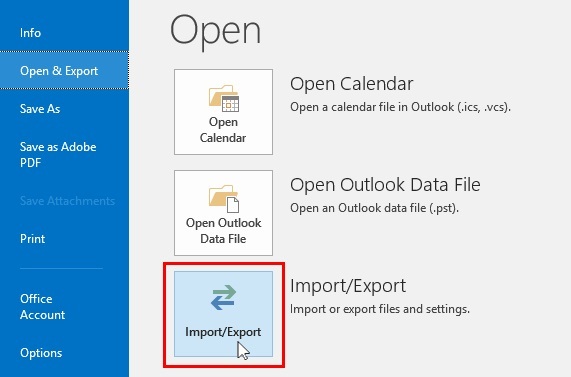 Click on the File tab in Outlook 2016 and choose Open & Export>> Import/Export. 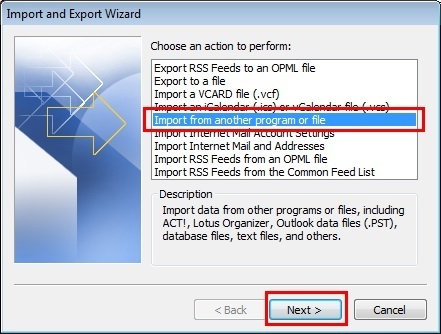 From the Import Export Wizard, select Import from another program or file>> Outlook Data File (.pst) in two consecutive pages. Click on Browse button to select the PST file from its location. Choose the preferred option and click on Next. If you want to import the complete file, select the root file and check Include subfolders option. Now choose Import items into the same folder in option and then add your office 365 account id here. Click Finish to get done with the data transfer. Check Outlook Office 365 and you will see the items of PST file have been migrated in that mailbox. As you can see, this method includes configuration of Office 365 in desktop-based Outlook. This makes the process quite lengthy and complex. Moreover, people without MS Outlook on the system may not be willing to install it just for the sake of this process. For all these reasons, people choose Office 365 Import software for easier and simpler import process. 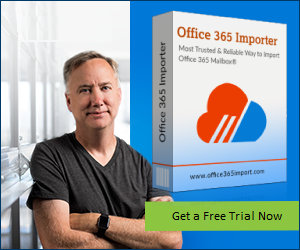 If someone chooses Office 365 Import application to import PST file in Outlook Office 365, they do not have to go through this lengthy process we have mentioned. They can simply add one or more PST files from their system or the domain network in the tool. Then it is the full responsibility of the tool to perform the migration. It does not require constant supervision of the user. The application also allows incremental migration of the same PST file at the second time. It also offers selective PST file item transfer based on category and date filter. 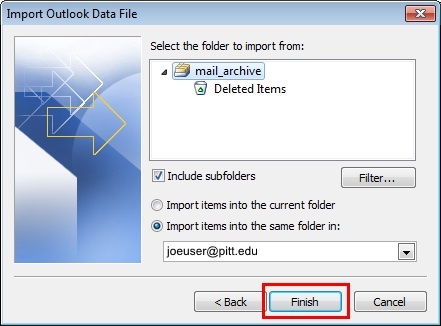 The program not only retains the complete email metadata, but also excludes unnecessary folders like Sent Items and Deleted Items. All in all, this utility is the perfect solution for the users who want problem-free PST file import in Outlook Web Access. Many Office 365 webmail users face the same problem when they have to import PST to Outlook 365 web. 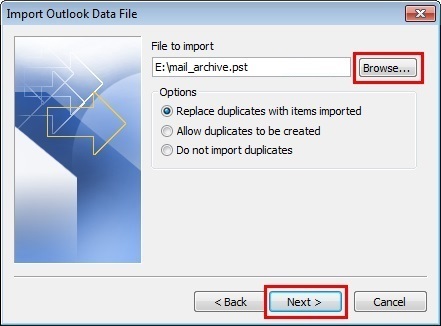 Since the manual method involved Outlook configuration, most users will find this technique lengthy and complex. For them, we have described a simple method that will allow users to directly import PST file to Outlook 365 online. Users can choose any of these approaches as per their preference.